Everyone in Seattle has their favorite neighborhood. Maybe it’s where they live or work, or where their favorite restaurant or park is located. Maybe their favorite neighborhood is the one where they feel the most at home, or the one where they just aspire to feel the most at home. Regardless, everyone has a place where they belong in this city. 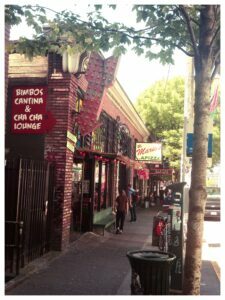 One of my favorite neighborhoods in Seattle is Capitol Hill. With its huge variety of amazing restaurants, unique bars and speakeasies, music venues, shopping, etc. you can find pretty much anything you could ever want here. And, since it’s one of the largest neighborhoods in the city, there is a ton of diversity to keep things interesting. In Capitol Hill you can walk into Tavern Law, a beautiful Prohibition-style speakeasy, and order a well-shaken Vesper to sip with your foie gras terrine. 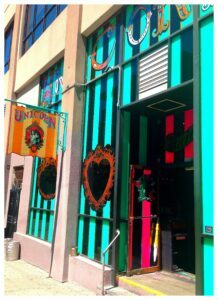 Then, walk one block down to the zebra-striped, taxidermied Unicorn and order a highlighter-colored “My Little Pony” and a Corn Dog Taco. You can stop into Quinn’s Pub for a Trappist ale, or head next door to Bimbo’s Cantina for a Tecate tall boy. 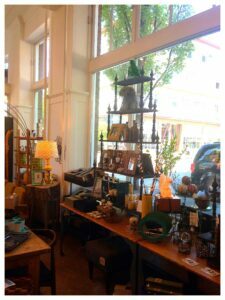 There is a gritty and youthful side of Capitol Hill that you won’t find in many other places, but nevertheless a “grit” that is still highly accessible. If you are looking for a good dive bar with cheap drinks, but also want that dive bar to serve deliciously crispy fish and chips and frozen craft cocktails, for example, you’ve come to the right place! This neighborhood is also home to the Capitol Hill Block Party, an amazingly fun (and timely!) event happening July 26-28th. This three-day concert brings in some major national acts (Flaming Lips, Girl Talk, etc. ), setting up stages in the streets and nearby venues while businesses remain open to concert goers. If you are a music fan, or just love a good urban festival, and want a true dose of Capitol Hill culture this is definitely the event to attend. From amazing music venues such as Neumos and the classic Comet Tavern, to a mix of up-and-coming and well established art galleries, an active and pride-tastic LGBTQ scene, world-class restaurants, wine bars, beautiful urban parks, book stores, boutiques and thrift shopping worthy of Macklemore’s music video – Capitol Hill is your oyster.